My name is Fiori van Rijswijk and I’m honored to be writing a little bit about my Indo related history for So Cal Indo of the month January 2019. I’m 24 years old and originally from the Netherlands. I moved to New York when I was 17 years old to pursue my education with an athletic scholarship (field hockey: a very Dutch sport). I studied psychology and art history/music. I’ve always been the only one playing music and my Indo grandmother was the main force in supporting this journey. 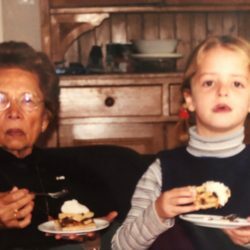 She always encouraged me to continue to play the piano as long as possible. And being older now, I see it as the best gift every given to me. I’ve recently moved to Los Angeles to pursue my lifelong dream of becoming a visual storyteller. I am currently pursuing my Master’s degree in Film and Television Production at Loyola Marymount University. I’m the 3rd generation to move to the United States. My main reason: to reach the world through visual storytelling. My Dutch-Indo background and family history are a main factor in this passion and drive. I was born in Huizen (near Amsterdam) with two older sisters. My father (Dutch) was born and raised in Amsterdam. My Indo mother was born in Alblasserdam, the youngest of six. My mother’s family soon moved to Dordrecht. 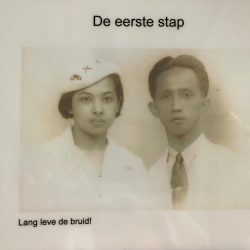 I spend most of my childhood in Dordrecht visiting my family, I bet many Indos reading this have lived or were born in Dordrecht. When you look at me on the outside, I am often perceived as a typical Dutch girl: tall and blond(ish). I didn’t realize this till I moved to America. Many of my friends in the Netherlands came from different upbringings. Coming from a mixed cultural background was not perceived as unique. My closest childhood friend was also born into a Dutch-indo family. And, my childhood babysitter was Indonesian. I never realized how much the Dutch-Indo culture was part of my upbringing till moving to Upstate New York with little to no people who shared a similar history. Most people didn’t even know where the Netherlands were nor Indonesia. This has given me a lot of time to think about the Dutch-Indo culture and history. My grandmother, Oma Ibu, (mother’s mother) was born in Malang, East Java, Dutch East Indies in 1919. She was the oldest of 12. Her father was from Dutch heritage and her mother full Indonesian. This mixed blood was eventually one of the reasons of my grandmother’s departure to the Netherlands. 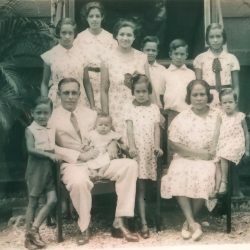 My grandmother had three children at a very young age with her first husband, an Indonesian man. He passed away while working on the notorious Burma train tracks during WWII. 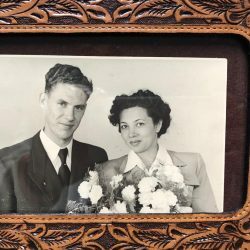 Being left a widow at age 24 with three young children, my grandmother met my grandfather who was part of the Dutch military. Together, with my uncle and two aunts, they left Indonesia after WII: Indonesia now independent, striving for purity within the country. 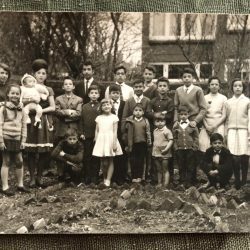 Arriving in the Netherlands, my grandmother had three more children: the youngest my mother. My grandfather passed away of lung cancer two weeks after I was born. I’ve never had the pleasure of meeting him, however, he has met me. 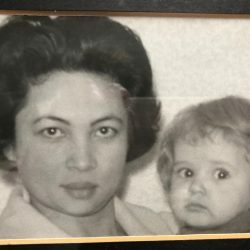 My Oma Ibu was the most special person I’ve ever met in my life. 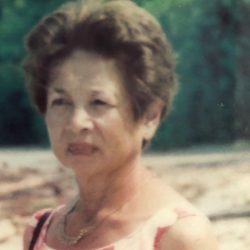 She has passed away as well. However, her spirit lives on in all of us. I am the youngest of all my cousins. As you can see in the picture, there are many of us. And none of us would be here without that one person: Oma Ibu (very center of everyone). 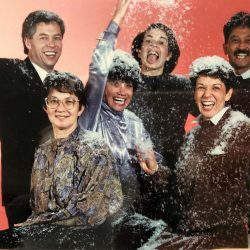 Even though my mother and her siblings have different fathers, they have always considered and treated each other as full siblings. I, as well, have always considered all my uncles, aunts and cousins the same. 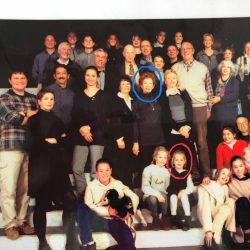 There are a lot of us, and I don’t know everyone as well as others, however, there is this special family connection. A type of unconditional love, warmth, loyalty, acceptance, humbleness, gratefulness, and strength. And I believe this goes back to Indonesian culture. Seeing family is like coming home. Family is always number one for me and I would go through fire for any of them. I visited Indonesia for the first time when I was 7 years old and I remember it as if it was yesterday. Every time I visit, I can feel a special bond. I see physical gestures in the people that I recognize in my family or in myself. And of course: the food. I thought Indonesian food was everywhere, till, again: I moved to America. Every time I am home, I make my mother cook all the Indonesian dishes I can think of and if she doesn’t feel like cooking, no worries: I will go to the nearby toko. When I cook Indonesian for some of my American friends, I will have to give them a list of guidelines, including but not limited to: you shouldn’t eat that whole piece of ginger or lemongrass, it’s there for flavor. Have more white rice when something is spicy. Etc. etc. In America, I am considered a “white” person. Though, I don’t completely feel like one. However, I also cannot say I am “Asian”. I haven’t thought as much about how to label my ethnicity as I have in the past few years in America. For every little thing you apply to, you have to identify your ethnicity. I’ve been in the States for 7 years now and I still can’t figure out which box to check. There is none that fits how I feel. With my visual storytelling, I intend to address many aspects of life: giving voice to those who are underrepresented and pushing labels and boxes. Family relations are a big topic in my voice as a storyteller. And I hope that one day, I will be able to portray more of the Indonesian culture in my filmmaking. And I am honored to now not only be a Dutch-Indo but also a SoCal Indo! and i suppose deep down we’re all the same … we all are part of the human race.. and we all want live life to the max and make a difference. greatr pictures! Thanks for sharing Fiori !